Microsoft has released its open source Computational Network Toolkit (CNTK) on GitHub. Now the tools which are used by Microsoft researchers to accelerate approach and work in artificial intelligence, will be available for broad group developers through an open-source license. Xuedong Huang, the chief speech scientist from Microsoft, mentioned that it could be useful to everyone right from deep learning startups to well established companies that are into processing of lot of data in real time. Microsoft described CNTK as “a unified deep-learning toolkit that describes neural networks as a series of computational steps via a directed graph.” It has been claimed as an alternative for some of the established deep learning frameworks, toolkits and libraries like Theano, Torch, TensorFlow and many more. Researchers said that this new toolkit is faster in image and speech recognition than four of the other computational toolkits. Microsoft had explored deep neural networks like systems that replicate the biological processing of human brain. Computers with Graphics processing units (GPU) can run CNTK because it has best tools for processing complicated algorithms that improves artificial intelligence. They have claimed that CNTK is an insanely more efficient toolkit that any other toolkits. The size of the company does not matter for using CNTK. Any deep-learning startup, medium-sized or bigger company processing a lot of data can use CNTK. Artificial intelligence is creating a big storm in the field of technology. As smartphone has become a part of daily routine, we need more and more clever phone devices. Researchers are readily applying traditional Artificial Intelligence techniques in the mobile environment. Such techniques like machine learning, speech recognition, natural language processing and classification creates powerful applications like Kinect from Microsoft and SIRI from iOS. The trend in technology is continuously making computer technology devices smaller and personal. The next hot trend is wearable computer technology that would be carried like clothes, head mounted display technologies. These creates novel ways of augmenting User’s reality. The vision of this new computerized infrastructure will be having applications, for instance, people may get reminded to buy milk when they come in front of diary shelf in supermarket. It will happen due to receiving message from wearable computer of refrigerator that has got to monitor the content into the refrigerator. AI methods seem to be very much promising tool for building situation and location aware mobile systems that will help users to work and behave in an unobtrusive manner. APIs for natural language understanding and machine learning are within closer reach than before. Consumers are looking forward for apps that can be used in an assisting and unobtrusive way. More and more killer apps will be seen at consumer as well as enterprise levels. The main reason behind that we don’t see neural networks in mobiles is the power. MIT has come up with a solution on this by revealing Eyeriss, a chip that can have neural networks in low-power devices. If power usage can be reduced many folds, then deep learning tasks won’t kill the battery of your iPhone. Although this kind of technology is not available in something that you can buy, but sooner you can have your smartphone that will handle AI-based processing locally. This technology can become a practical reality in near future. Krify has been working on machine learning technology, as artificial intelligence is the future of technology. We specialize in enterprise solutions and mobile apps and websites development for start-ups as well as for established companies. Contact us today to get free consultation from our Technical Director. In present scenario, most of the activities of routine life are now associated with our smartphones. How? Whether it be shopping, ordering food, paying your daily bills, hiring a cab, sending and receiving documents and many more. All such activities are done using our smartphones off course. With the mobile technology growing fast with the lightning speed, mobile apps have also become an integral part of the digital ecosystem. While approaching towards the end of the year 2015, let’s have a look back at the mobile app trends that were witnessed in 2015. All esteemed Mobile App Development Companies are facing the tough time to reach the huge demands of mobile apps from across the globe. With the increasing culture of start-ups the competition among businesses is huge. Every organization wants to reach the audience/customers globally. What other better platform than digital platform. So to reduce the gap between the idea of product and launching the products eventually, everybody wants the App development process to be fast. 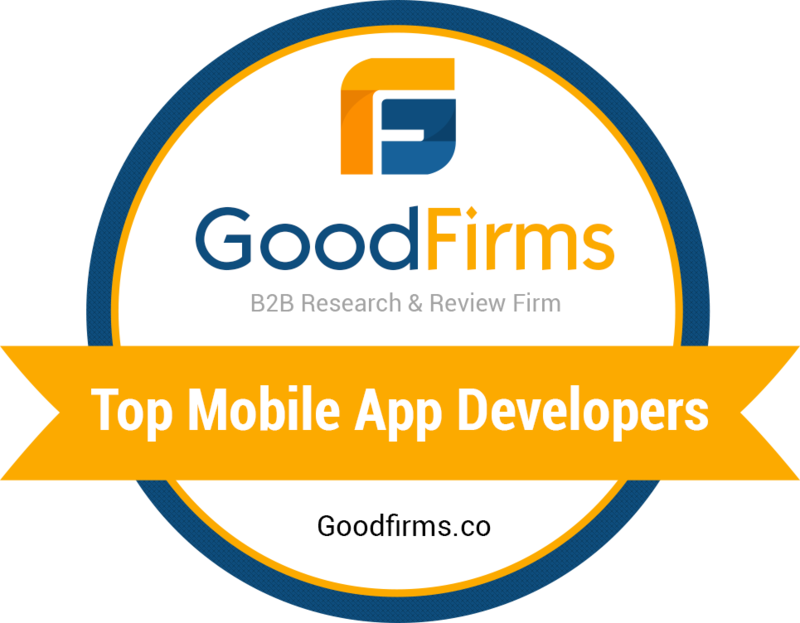 This enthusiasm resulted in development of faster mobile app development tools and frameworks. So, the mobile or web app development process is expected to give key results that leads to rapid launch of products and fast reach into the global market. Many are the mobile applications that have used the power of cloud technology, such as Gmail, Dropbox, etc. Mobile cloud computing has flourished to a greater level and is still expected to boom in coming years. Mobile app developers are still facing many challenges in cloud-based mobile apps development that can be accessed through multiple devices without compromising with its functionality and features. The transformations going on in the way smartphones are being used, the consumption of multimedia content, internet banking, online shopping and website browsing and other activities are also increasing. These multiple activities and increased apps usage has led to development of responsive websites in order to support multiple mobile devices. It requires developers to build responsive websites without compromising with its features and functionality. The mobile app security is as important as mobile app development. Mobile app developers have been seen to be paying more attention to mobile app security throughout the year 2015. It is necessary to safeguard every bit of information that is passed through mobile devices. Data flow, functional and abuse cases are some of the typical mobile threats. So preventing the hacking and testing the vulnerability of mobile apps have become a major work area in mobile app development. Cross-platform mobile app development tool has become very crucial in 2015. The notable thing is that the use of cross-platform tools has grown from 23% to 30% during past six months. So it is very much important to select the right tool. More and more ventures are demanding cross-platform expansion and number of tools are available for mobile app developers who wants to use cross-platforms. Many companies have already opted for using their own enterprise mobile app and are experiencing the benefits of using it. Irrespective of the size or location of the organization, being able to stay connected with the rest of the organisation anytime, anywhere is the biggest advantage that enterprise mobile apps offer. It has made the tracking of critical metrics simpler around the world. Businesses are connecting more throughout the year and the need for enterprise mobile apps will continue to grow. Till the beginning of 2015, mobile app development for wearable was focusing more on health and fitness domain. But throughout 2015 we have seen the immense rise in development and usage of wearable. With the launch of Apple watch in April 2015, a huge push is being noticed in wearable scenario. A great potential has been discovered for IoT (Internet of Things) apps as well as for wearable apps. Thus mobile app developers are also focusing more towards app development for wearable platforms in 2015 and will continue to do so. While moving closer to the celebration of New Year 2016, preparing for upcoming challenges is also crucial in the mobile app development space. Thinking ahead and thinking out of the box, is the main focus for 2016. At Krify, our core competence is building mobile apps and providing solutions to IT related problems. Our expert team of mobile app developers, designers, testers and marketers work together to provide our services at every layer from conceiving the IT product idea to its launch. We thrive to meet the goals of all our clients who comes to us with varied interests of developing apps for individual, entrepreneurs and enterprises. We are excited to take the ride of 2016 with focus on integration and ease of use. Hire our mobile app developers at Krify now, to develop competitive and responsive mobile apps in a cost effective way. Great way to start App development..! If you have innovative app idea or looking to build an amazing new mobile application, Krify is the right place to make it reality. The best way to start off a mobile application is through Mockups. This is a design process where you layout each of the app’s views in detail. Mockups refer to the fundamental illustrations of the components and the structure of a development; this basically defines the first stage in the design process.They are useful as a part of documentation. Mockups are simply a representation of the skeletal structure of a mobile application. It provides an easy way to validate the usability of an application by allowing the user to visualize and navigate through its different sections. They outline the basic structure and flow of an application from screen to screen as a user moves through the application, detailing what features exist on each screen. that will be needed on page level, before Graphical design. Allows you to spend time and focus on what each page’s purpose is. Gives a clear view of the interface when implementing the GUI. Gives the designer/developer a clear view of what needs to be designed. Gives clarification of application features. You can make changes early before development starts. Less migration and less reimplementation. Ninjamock.com is a Free tool which is helpful to design wireframes for mobile app. It is a simple and powerful prototype for designers to design wire-frames and share them with others. Moqups.com is a free online wire-framing and prototyping tool to create wire-frames and share them with others. Wireframes are usually more focused on functionality. A mockup is very close to the real visualization of an application, with static representation of its functionality. It represents the potential look, feel and basic functionality of your application and also it contains colors, typography, pictures and other details. InVisionapp.com makes quick and impressive prototyping possible for a higher level of design. Using this tool, users can link their UX sketches, designs and even share them with others. Flinto.com is a tool for prototyping IOS app designs. We can add screen images, and link one screen to other that creates the real app environment. Hence, Mock Ups and wireframes have become an important stage in the development process. . It gives the understanding of the future layout of the app.